As a community, we all need to work together to help our planet to stay clean and healthy for future generations. In our house, we have switched all of our light bulbs to the more energy efficient variety, the boys help us to recycle items, reusable bags are always with us when shopping, and we have our Nalgene bottles for water. Of course, we do other things like try to take lunches in reusable containers, plastic bags are used less often and paper plates at a minimum. I have always used scrap paper around the house to make lists. I think a lot of this stems from growing up with my Papa running a recycling plant when I was little. Seeing all of the magazines, newspapers, books and more in piles higher than my house was an eye-opener. Marcal Smalls Steps makes toilet paper, napkins, and paper towels from 100% premium recycled paper- not trees. It may seem like a small thing, but it actually adds up. If every household in the U.S. replaced one package of traditional toilet paper with Marcal Small Steps, together we could help save nearly one million trees. And, in your own home, a family of four could save two trees a year (17 trees over 10 years) just by switching to paper products made from 100% recycled materials. For those of us watching our budgets (who isn’t?! ), Marcal doesn’t have the “green premium” often attached to earth-friendly brands. In fact, Marcal Small Steps typically sells for less than traditional paper goods that are made by cutting down trees and often contain dyes and fragrances that Marcal doesn’t use. To receive a coupon and join the Marcal Movement head here to get more details. Price Chopper supermarkets carry these items. To find a store near you head to the store finder. Marcal sent us a package that contained bath tissue, facial tissues, paper towels and napkins to try. We have already started to use the bath tissue. I must admit, I am a toilet paper snob. 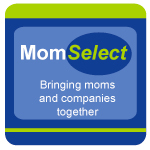 I do not use generic store brands since we have not found one that meets up to my standards. For the most part, I am loyal to a particular kind, unless sales woo me another way. I was a little skeptical about using a recycled paper product for this manner. When I took the roll of toilet paper out of the package, the first thing I noticed was it felt similar to the toilet paper that we usually use. It felt a little different to the touch, but nothing drastically different. It was certainly not anything that my children and husband noticed. The roll was similar in size to our other rolls. It did a nice job doing what it is supposed to do, I was very pleasantly surprised. The other item I noticed, the roll seems to last longer than our other rolls. Seeing how many trees we could save with toilet paper alone, we will looking to see if the stores near us actually carry this for future use. Given how we liked the bath tissue, my family will continue to try the rest of the products in the coming days and I will report back here. Thanks to Marcal Small Steps, one lucky reader will win a package similar to mine that will contain samples of their new products for your home. MAIN RULE – Answer the following questions: What is a "small step" that you will take beyond Eath Day to help our environment? 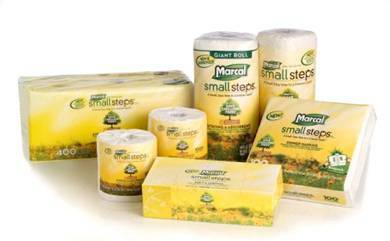 1 Bonus Entry – Which Marcal Small Steps product are you most interested in trying and why? 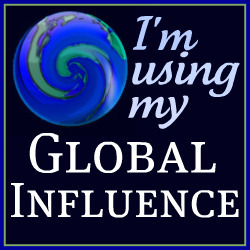 1 Bonus Entry – Leave a comment on any of my non-giveaway posts from the month of March/April. Be sure to leave a comment here to let me know which one. This Bonus entry may be done only twice per person. 1 Bonus Entry – Enter any of my other current giveaways (keep checking back – more being added all the time). Be sure to leave a comment here to let me know which one. To enter, please follow the rules above within the comment section. Contest starts today April 22 and ends at 10:59 EST on May 6, 2010. You do not have to be a blogger to enter, but must leave a valid e-mail address for me to contact you for mailing address once the giveaway is over. I will select the winner using random.org and contact you via e-mail. You will have 48 hours to claim the prize. If there is no response, another winner will be selected. Open to U.S. residents only. Disclosure: I received the Small Steps products complimentary of Marcal to facillitate this review. No other compensations was given. The opinions expressed in the review are my own feelings about the product that my family tried. The giveaway is also made possible thanks to Marcal. To help our environment, we will use cloth diapers (instead of disposable), remember to take reusable shopping bags to the store, and plant a garden. I’m a subscriber, via Google Reader. Great giveaway! Yesterday for Earth Day, the kids and I picked up garbage at a local waterfall (there was lots of it). 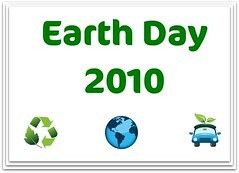 And we recycle ~ glass, newspaper, plastic, etc. I would love to try the paper towels because I’ve never tried the Marcal brand. We go through paper towels like crazy! .-= Lisanne´s last blog ..Me and my shadow =-. Our son started riding his bike to work during good weather. Very proud of that! I started watching our wasted water. Did you know all that water that we cook with and drain off can be cooled and used in the garden? I’d like to try their facial tissues. We’ve all but eliminated paper towels but I can’t quite bring myself to use handkerchiefs, you know. This could be a middle ground. We are trying to raise more of our own produce during the summer months. We have a huge garden. We unplug appliances when not in use. .-= Lois Shores´s last blog ..Enter to win a Seventh Generation Cleaning Package =-. Thanks to all that entered the Marcal Small Steps giveaway. The comments are now closed and the winner will be notified soon. Good luck!